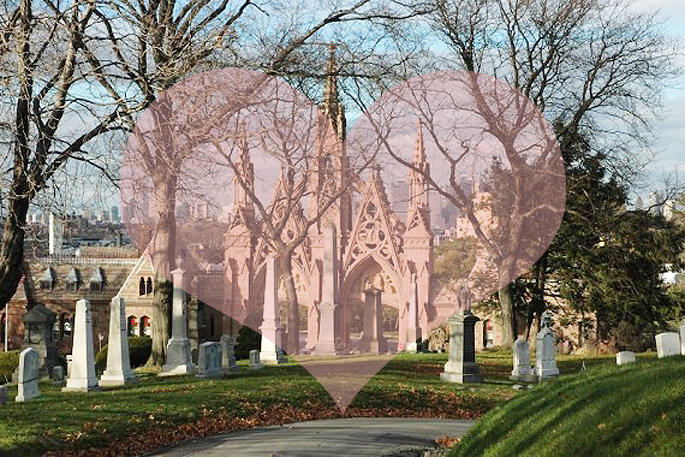 What could be more romantic than a cozy mid-winter afternoon trolley ride through one of NYC’s most interesting national historic landmarks, Green-Wood Cemetery? Celebrate this most romantic of holidays with a bit of a gothic twist: Expert guide Ruth Edebohls will lead a tour highlighting historic power couples, romantic monuments and tales of love everlasting, both triumphant and grim. You can also view Civil War love letters from the Brooklyn Historical Society’s historic archives on display in the Historic Chapel and have some coffee, tea or hot chocolate before the trolley tour begins. The event is on February 14, 1-3 PM; $20 for Green-Wood and BHS members/$25 for nonmembers. Find out more and buy tickets here: Love Set in Stone: A Valentine’s Trolley Tour.